The King in Yellow is a combination of fantasy and romance fiction; the fantasy pieces have won and maintained the works reputation. These stories have two central themes. One is the existence of a sinister, banned book, also known as The King in Yellow, that has the ability to morally corrupt or spiritually destroy all those who read it. The second theme is that the fictional book within Robert Chambers’ work is based on the almost unknown truth that there is an actual “King in Yellow” who comes from beyond the stars and whose unseen, baleful influence on human life is more pervasive than can be imagined. 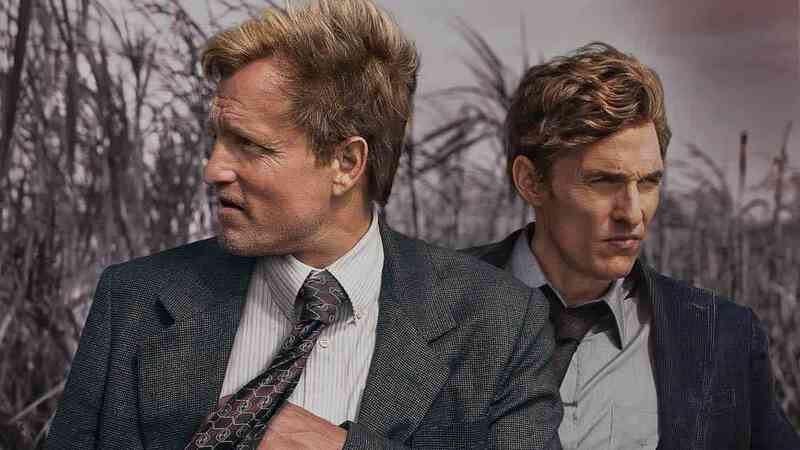 Both True Detective (2014) and The King in Yellow (1895) are “tales of madness,” to borrow the words of True Detective writer, Nic Pizzolatto. He and Chambers–whose short stories in the collection The King in Yellow, which is the same title as the fictional play that courses its way through the short stories, provide allusions and pivotal plot elements for True Detective—both address the idea, expressed in Chambers’ opening short story “The Repairer of Reputations,” that human nature has limits of endurance for the darkness that is the strain, that is the poison, of humans’ souls. Check out the complete answers here, and if you have your own connections to add, we invite you to do so!